Trust us with both your culvert installations and repairs! Functional culverts are extremely important to railroads. If they are in disrepair, or blocked by debris, the impact can be disastrous to the railroad’s operations and the safety of its crews. 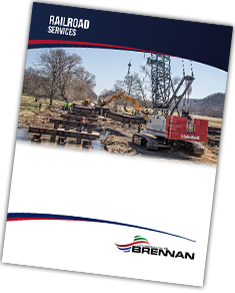 Brennan can replace culverts whether they are on land, underwater, or located in remote marshland areas. Our fleet of hi-rail equipment and experienced crews are especially versatile and provide standard maintenance or full scale replacements through MSA agreements or emergency response. In the case of replacements, our highly portable boring machine can bore culverts up to 48 inches in diameter. 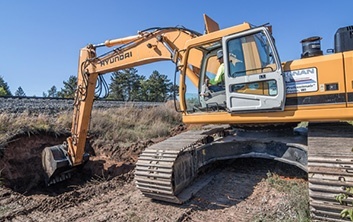 Brennan also owns a fleet of amphibious equipment that can access hard-to-reach areas in marshlands and swamps without the need to foul the maintenance-of-way. If culverts are submerged, count on our divers to clear debris, complete repairs, or assist topside crews in the full replacement. This includes ROV units that can fly through the culvert and create sonar scans of the interior to check for any damages and major leaks. Want more information on our culvert services? Fill out the form below!